We at Entertainium are a small team. We don’t often get the time to report on the news as it occurs because we’re busy with other matters. So, rather than expend energy writing up individual stories, we’ve elected to post a weekly recap of some news we feel is worth mentioning. Maybe that will be only a couple events, or perhaps several. Who knows. This is only the first edition, so anything goes (like settling on a proper name). Mike Bithell, the mind behind the brilliant Thomas Was Alone, announced his new game this past week. Volume is a stealth game in which you take on the role of an as-of-yet-unnamed thief, attempting to avoid detection through a variety of non-lethal gadgets as the protagonist does not kill. The game has a sort of future-esque aesthetic, often compared to Metal Gear’s VR missions. Details are still slim, but more will be announced at the GameCity event in Nottingham, England. Check out the trailer below for more. Rumors have been swirling around for a while that Arkane Studios, the makers of last year’s excellent Dishonored, have taken over development on Prey 2 after Human Head had a falling out with Besthesda back in 2011. Arkane was quick to dismiss the speculation, however, Bethesda’s vice president of marketing, Pete Hines, and Arkane creative director, Raphael Colantonio, outright stating they were not making Prey 2. Seemed pretty cut and dry: the rumors were false. Oh well. Then Kotaku got a hold of some e-mails that confirm Arkane is indeed working on Prey 2. 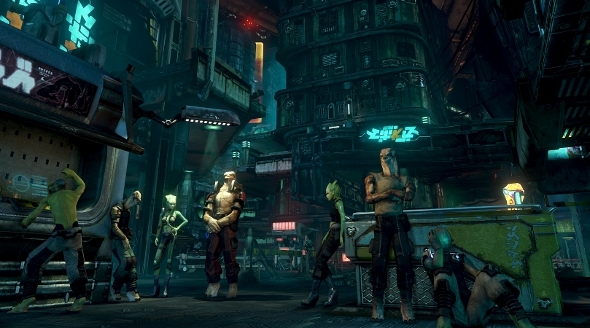 According to the e-mails, the company seeks to transform the once open world game into a “spiritual successor to System Shock 3.” When reporters asked for comment on the matter, Bethesda continued to play coy, stating: “We aren’t talking about what Arkane is working on and we have no new information to share on Prey 2.” Though at this point, it’s pretty clear what’s going on now. Arkane’s a good studio. They’ve proven themselves more than capable as developers with Dishonored, so it’ll be interesting to see how their incarnation of Prey 2 will take form. Gonna be a long while before we see anything of it, I’m sure. But given how long we’ve waited to see what the fate of Prey 2 was going to be, I think we can manage. EA jumped on the Humble Bundle bandwagon last week with the arrival of the Humble Origin Bundle, following in the footsteps of THQ (rest in peace) and Deep Silver. The Origin Bundle contains eight games: Dead Space, Burnout Paradise, Crysis 2, Mirror’s Edge, Dead Space 3, Medal of Honor, and if you beat the average ($4.82, as of this writing), Battlefield 3 and The Sims 3. All for the low price of $1. Interestingly, all of the profits from the bundle are being donated to charities. Neither EA nor the studios behind the games will be receiving any chunk of the cash. So if you’ve somehow got some grudge against the company, you can easily buy the bundle and feel good about it.